Robin's Green Shades: "My All American" in Theaters now! 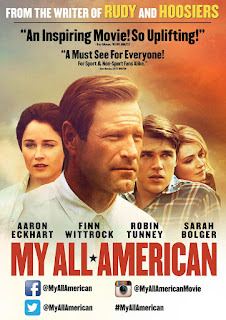 "My All American" in Theaters now! 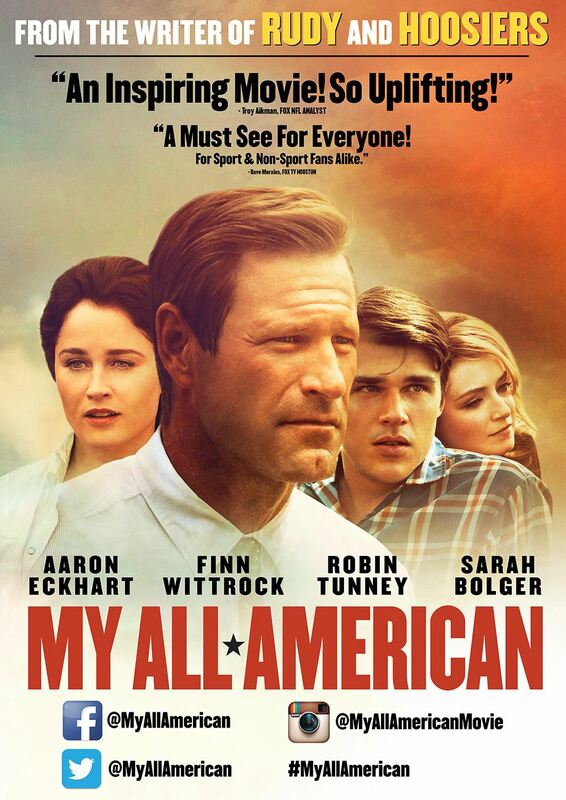 "My All American" is now playing nationwide in the US from November 13th. "Gloria Steinmark, Freddie’s mother, is adeptly played by Robin Tunney. As the matriarch of the family, Tunney, presents Gloria with a steely strength and sympathetic tension, as she is caught between her love for her son and her ambition for him." Just saw the movie Friday afternoon in Salisbury, MD. I really loved it. It was very up-beat in spite of its sad outcome, but life is like that sometimes and the film shows how very courageously Steinmark dealt with his illness and death. It reminded me so much of my dad, who died in 1986 after a nine-year battle with aneurysm, stroke and finally the amputation of his right leg at the hip... People who think Whitrock's portrayal of Freddy is too saintly should have seen the way my dad went through the whole amputation and recovery trauma...such courage I've never seen, and the deepening of our family's love was one of the good outcomes of his tragedy. So I could relate to the film and the story of a young man who was decent, honorable and strong...a welcome contrast to so many of the bad boys Hollywood likes to glamorize. As for Robin, I really wish she had had more screen time, but the fact that she didn't made everything she brought to the part that much more important and impacting. Her respect and enthusiasm for her son, her excitement in participating in his amazing good fortune and finally the deep love and faith she showed him through her grief on his sickbed made her contribution very moving. She is a wonderful person and it really comes through in her work.